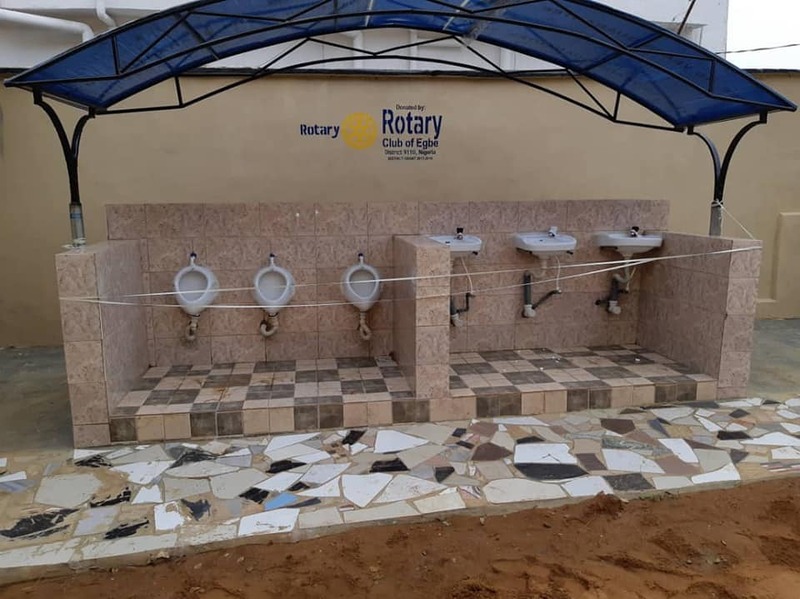 Pupils and staff of Community High School in Egbe, on Sunday, November 11, 2018 gathered in excitement as members of Rotary Club of Egbe, District 9110 commissioned a urinary system and chamber toilets in the school. 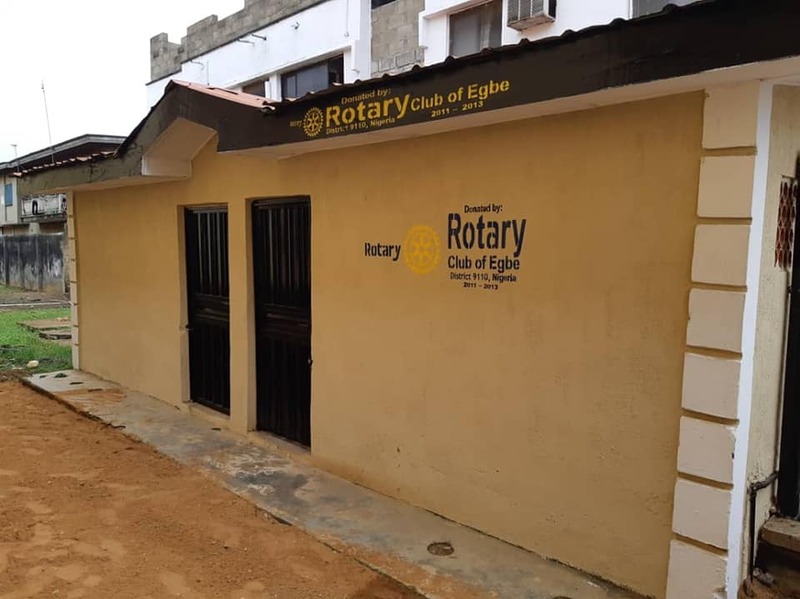 The commissioning was formerly carried out by the District Governor, Rotarian Kola Sodipo who was on an official visit to the club with the District Secretary, Rotarian Kola Ojelabi and some other district leaders on Sunday, November 11, 2018. The DG’s visit to the club started with a courtesy visit to the Oba of Egbe, HRH Oba Asimiyu Dada Otta, Elegbe of Egbe Kingdom. 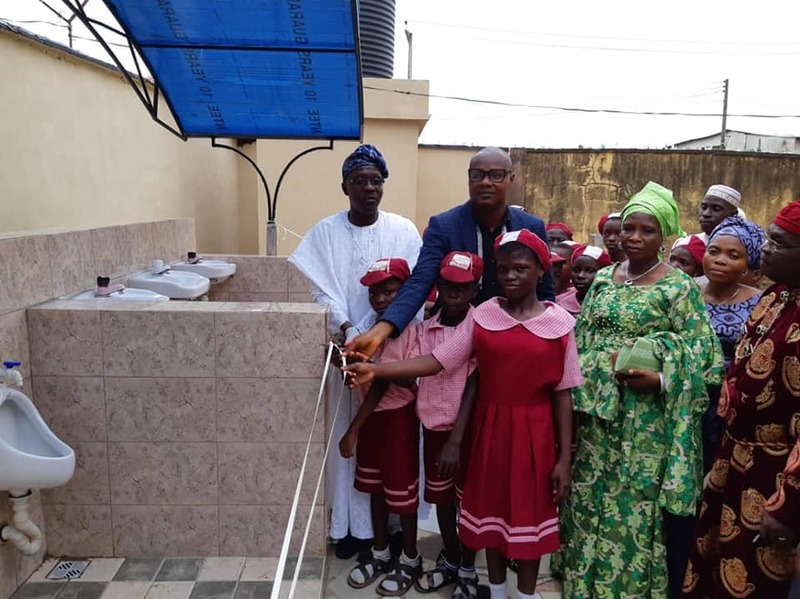 Thereafter, DG Sodipo, members of his entourage, as well as members of the club led by the club president, Rotarian Kenneth Nwoji proceeded to the school were a modern urinary system and six chamber toilets were commissioned by the DG on behalf of the club. During the club assembly, the club president noted that the club plans to execute more school projects this Rotary year. Responding to the president, DS Ojelabi brought it to the notice of the club members that the School Universal Basic Education Board (SUBEB) Chairman, Mr. Ganiyu Sopeyin is also a Rotarian with Rotary Club of Agege so the club can make use of him to get approval for its future school projects. Rotarian Nwoji, while speaking on the successful membership strategy of the club which has led to the induction of 16 new members into the club this Rotary year noted that “membership is key to the future and success of Rotary”. DG Sodipo, while delivering his speech his speech during the club fellowship, congratulated the club for adding 16 new members to the club this Rotary year. He encouraged them to keep it up and also to develop strategies that will help to retain the new members. He however advised other clubs in the district that are looking forward to growing their membership to try and develop personal relationships with potential members and also be truthful to them while inviting them to join the club, not trying to “sweet talk” them into joining as they would eventually get disappointed and leave the club if they join with a wrong intention of what they stand to gain. 3 new members were inducted by the DG into the club during his visit, in addition to the 13 members that were previously inducted earlier in the Rotary year, making a total of 16 new members.